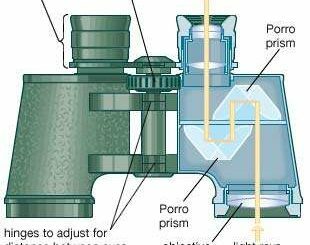 I know you are here because you have stopped for a moment just to ask yourself this question; the Vortex Viper vs Razor Binoculars, which is better?. Don’t worry you are not alone. I have seen the same question been asked several times which got me digging and that led to this comparison you are reading today. Ok, so I did intensive research and found users who have had the opportunity to use both and they gave their honest experiences. These experiences and the specifications of each binocular was compared and I drew a conclusion. 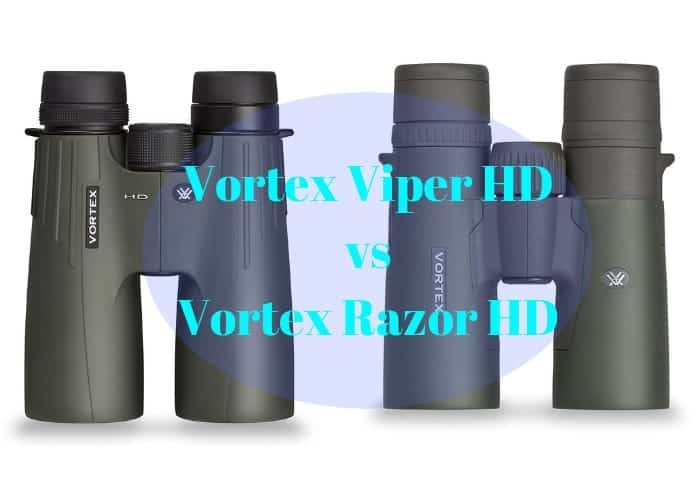 The Vortex Viper vs Razor Binoculars who wins?. From the users’ experiences and comparisons that were made, the Vortex Razor HD is solidly made and has better optical performance than the Vortex Viper HD. So, the Razor is the winner of the two. Although the Viper is also great in its own right. Below you will find the reasons why the Razor emerged the best of the two binoculars. If you are very familiar with binoculars, I am very much sure you are aware that Vortex Optics, an American company is a well-respected brand. In fact, they make some of the best mid-range to high-end binoculars. 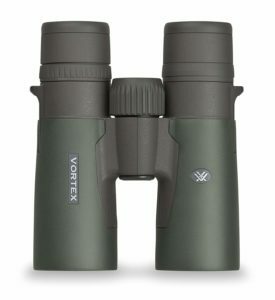 Both the Vortex Viper HD and the Vortex Razor HD binoculars have been in the market for a while now. They have been used by millions of people. With majority impressed with their optical performances. But what exactly makes these two binoculars standout in their make and design. That you will find out in the article. The Viper HD series have a couple of models to choose from thus; 8×32, 8×42, 10 x42, 12 x50. 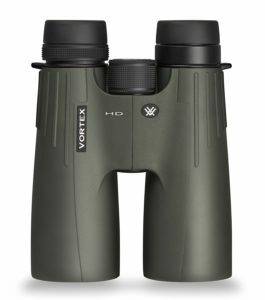 The Vortex Razor HD binoculars are all full size. These are the Razor HD binoculars models; 8×42, 10 x42, 10 x42, 12 x50. It’s also great to know that all Vortex products come with a lifetime warranty. Below is a tabular comparison of the two models. Both of these binoculars have a good sweet spot in the middle when in focus, but blurs slightly towards the edges of the image. Based on user testing, it was found that the Vortex Razor HD has about 96% clear radius with only 5% showing blurring at the edges while the Viper HD binocular had 88% clear radius before the blurring became noticeable. 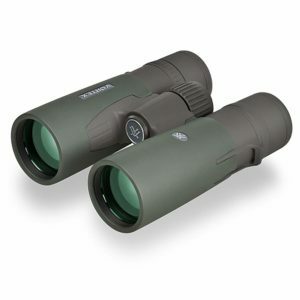 Because of their dielectric prism coatings and fully multi-coated lenses, they help you see more details than other binoculars which are not coated to that extent. Of the two binoculars models, you will notice that the Razor HD is having a better sweet spot and the blurring isn’t as significant as the Viper. Chromatic aberration is something not noticeable between the two binos. As you would also by now expected, the Vortex Razor resolved greater levels of details than the Viper. If you look through both at the same image, you would notice that the Razor HD gives better details. Both the Razor and Viper performs well in low and strong light conditions. But as per users experience with the two, Even though the Viper controls stray lights in its barrels significantly, but the Razor has better light control. Whether you are using them during the day, dusk or dawn. They both are good but the Razor is more favorable. Field of view is also important, especially to the hunters and bird watchers. Wider field of view is often preferred as it allows you to see more details at once without having to move around. Between the Viper HD 8×42 and the Razor HD 8×42, the Viper 8×42 has a better field of view than the Razor HD 8×42. Looking at the comparison above. the Vortex Viper field of view is 409.0′ @ 1000 yd while the Razor Hd binocular field of view is at 388.5′ @ 1000 yd. Of the 8×42 models, the Viper HD 8×42 is better. However, you would notice from the comparison table that, the Razor HD 10×42 model has a better field of view (362.2′ @ 1000 yd) than its Viper HD 10×42 counterpart(319′ @ 1000 yd). So, in this case, if the field of view is important spec to you. Then the Razor HD 10×42 is better and it also offers a better sweet spot. 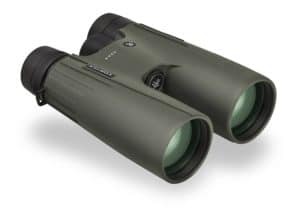 The Viper HD binoculars are in the mid-price range around $500 while the Razor HD binoculars slightly toward premium price around $900 but remember the saying you get what you pay for. This saying applies directly to optics. With binoculars, premium quality comes with a premium price. The Viper is more budget-friendly of the two. If you don’t mind for better quality sake, you can stretch the budget more to get the Razor HD binos. But if you are budget minded, but maybe considering the Viper or Razor, then the Viper is cheaper. Although all are around the 700g range, apart from the Razor 10 x42 model which is just 3g above 700, the rests are just below 700g. The differences in weights aren’t significant between them. These weights are ok considering their lens sizes. In terms of their chassis comparison, the Viper is made of polycarbonate frame while the Razor HD is made of magnesium. The material used for each binocular has its own strengths. Polycarbonate is quite light and may stand up to slightly rougher use with grace. Many of the tough and durable plastics today are apparently made of polycarbonate compounds. 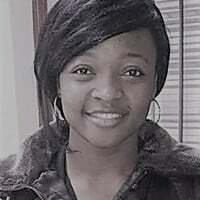 It takes quite a bit to break it, but if it does break, it can be quite difficult to mend. Magnesium has been used extensively in competition automobiles, for example, where there is a mandate to keep weight to a minimum while maintaining strength because it’s even lighter than aluminum. As to which one should you choose will depend on other factors above and the condition of use. Like if you are budget conscious, you would properly choose the Viper or if you choose the Razor HD, you would end up with the magnesium chassis. The Viper has a cheaper price, good light control to reduce glare in harsh weather conditions, It can be used in snow, humid weathers and close to the water whether you are in the desert, plains or mountains it delivers good views. Plus it is durable and easy to use according to users. Hence a good binocular for the money. However, the Vortex Razor is still the best performer of the two. That is to be expected with the reasonable price difference of the two. In terms of optical performance and build, it is more favored and commands that price tag. If you have the budget and can afford, the Razor is better in its own rights. Checkout out their current prices through the links on the comparison table above. Nikon Prostaff 3s vs 7s Binoculars Comparisons-Who Wins?